Meta data used in web pages tell search engines robots what the page and elements on the page such as graphics, audio, video and text are about. Without meta data, Google, Bing, Facebook and any other search engine that crawl your pages will not be able to catalog and index your page properly. If your page has good meta data and the search engine knows what your page is about, it can serve it up in search engine page returns to someone looking for it. A search engine will “crawl” the pages of your website and use the meta data you provide to classify and index the page so it can be found using key-word searches. Each web page should have meta data including a title, description, key words and other meta data such as open graph data, and “alt” attributes for graphics. The bot that crawls the page will also “read” the titles and text and try to determine what the page is about from the density of certain “key” words that are included in the content. 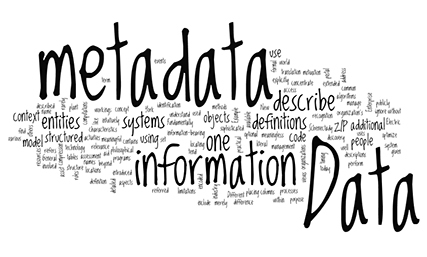 There is a great variety of meta data that can be included on a web page. For the purposes of search engine optimization, the minimum data that should be present is the page title, description, key words and if the page is on a site that is selling things it should also include “rich snippets” of meta data that will further help the search engine classify the page. Facebook for example uses what is called open graph meta data. The Open Graph protocol enables any web page to become a rich object in a social graph. For instance, this is used on Facebook to allow any web page to have the same functionality as any other object on Facebook. If you are going to use Facebook to promote your web pages then inclusion of og meta data is essential. Some examples are above. Many website developers are graphic artists and don’t understand the importance of meta data. They can make great looking pages, but without well formed meta data those great works of art are essentially invisible to Google and other search engines making the pages very hard to index and find. A well formatted web page will include enough good meta data so that a search engine can understand what it about and classify it accordingly. Having well structured meta data is not enough, however, to make your page rank high in searches. My next blog will concentrate on page rank and search engine return pages. To learn more visit The Bridge Group Online or email me at rq@bridgegrouponline.